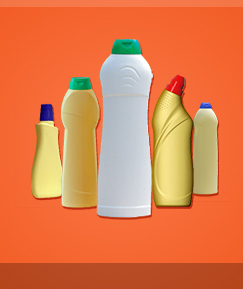 We offer a wide range of plastic packages for the needs of chemical products. These are: powder boxes, scent boxes, gel containers, round bottles, shape bottles, PET bottles and screw tops. The detailed offer to be found on the sub-pages, along with basic description and technical drawings. The packages presented on the sub-pages are shown in the basic colour version. The product can be produced in colours chosen by the orderer. On round packages we offer colour silk-screen printed design. Our packages is made of polypropylene, polyethylene and PET. We exclusively use original raw materials from recognised producers. If you are interested in our offer, please contact us – we will gladly provide you with further information. Our detailed address, telephone numbers and e-mail address can be found on the “contact” sub-page. We invite you to see our website!